This Error Message Article explains the CODESOFT error message “This label was created for the [printer name inserted here] printer.” and details how to fix the underlying problem that caused it to appear. 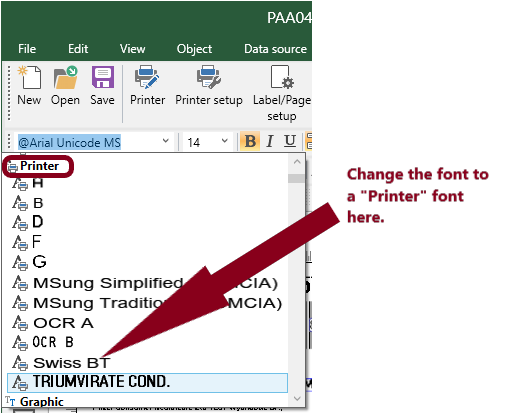 Change in fonts – CODESOFT will automatically change the fonts if the new print driver does not support the fonts used on the saved label design. Disabled features – Some printer features (e.g. the ^SN feature or using the RTC time) may not be accessible and thus the software will not render the print jobs in the same way. Before saving the label design, add a compatible print driver (preferably the same one or a newer release of the same one) and then change the printer in CODESOFT to that new driver. Then check to make sure the font’s revert back to the correct font name. Usually they will revert back to a printer font. 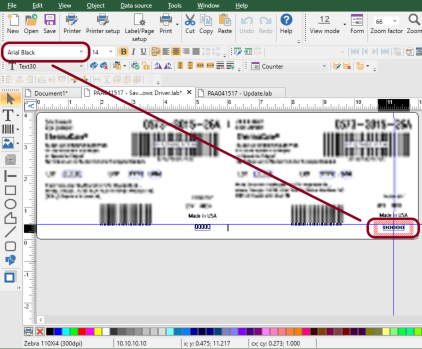 If the label design has already been saved, you will need to add the compatible print driver (typically same brand) and manually change the font back for each field or label element in the label. One that is done and you have tested the label design, re-save it.